For 2016, the 40th anniversary of the Heuer Monza chronograph, TAG Heuer is unveiling a new version of this iconic watch. The reissue, modelled faithfully on the 1976 Heuer Monza, features two key functions of its predecessor: the pulsometer and the tachymeter, a first for the company, since no previous omega replica remake has had both. The famous black cushion case, formerly in steel, is now made of grade 5 titanium, and the watch's powerful presence is further enhanced with a matt black titanium carbide coating. The case diameter has been beefed up from 39 mm to 42 mm, giving today's watch a more masculine and contemporary look. The dial sports the historic HEUER logo, and the look is completed with black and white lacquered hour and minute cheap ralph lauren hands, styled like the original. On the inside, the 2016 version of the Heuer Monza chronograph is driven by the automatic Calibre 17. The caseback is screwed down, engraved with the Heuer logo picked out in iwc replica red lacquer, and numbered. The watch oozes vintage style, enhanced by the "super racing" style strap in full-grain calf leather with large perforations, a nod to the three-branched steering wheels common in racing cars of the time. Jeremiah Horrocks, the first person to predict and then see a transit of Venus, also wrote several papers on other aspects of astronomy. In one of his papers he wrote about a method - known since antiquity - of calculating longitude by timing lunar eclipses at two separate locations. One of his observers, un-named, was located in "Aquedniek" in New England. Who might it have been? Horrocks biographers have suggested candidates. In this talk I present a new candidate for Horrocks's New England correspondent. 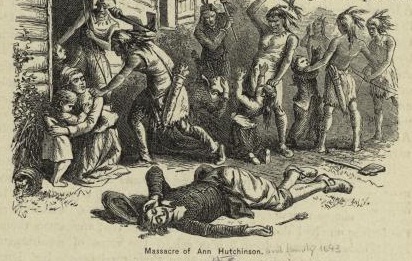 I also tell the extraordinary story of the colonisation of Aquidneck, now part of Rhode Island, by a fanatical sect led by the formidable Anne Hutchinson. In the first half of the seventeenth century, followers of Puritan persuasion were persecuted for their "back to basics" beliefs. Some Puritans, like Jeremiah Horrocks, chose to lead their lives quietly in England, but many others emigrated to the colonies of the New World, where they practised their faith in the frontier lands of the American colonies. A tale of scientific observation in the most unlikely of locations.